Android Wear smartwatches might be great but Apple Watch is turning out to be the sole standing survivor in the wearable market. The latest IDC report, which details the shipments for 2017, confers that the Apple Watch is ahead of all of its competitors by a significant margin. According to renowned research firm IDC, the fourth quarter of 2017 observed a minor 7.7 percent uptick in the global shipments as compared to the same quarter of the last year. The total volume of shipments equaled 37.9 million in Q4, with the figure for 2017 as a whole standing at over 115.4 million units. This is abysmal in comparison to growth stats we’ve seen over the past few years. Now, as far as Apple is concerned, it distinctly stood high amidst other tech giants in the wearable market by shipping close to 8 million Apple Watches globally in the final quarter of 2017. This is an important achievement for the Cupertino tech giant as it had been lagging behind and had spent many quarters behind Fitbit and Xiaomi, thanks to the fitness bands they offer. However, Apple Watch seems to be the only contender that’s still growing at a tremendous pace and is ahead of other smartwatch makers by a good margin. 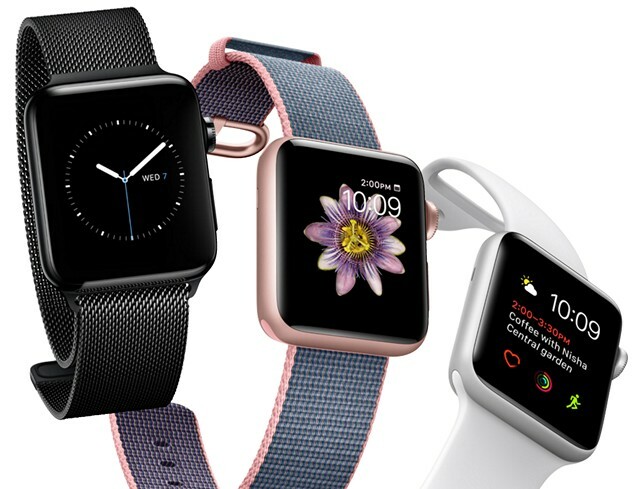 IDC’s data intimates that the launch of the LTE-enabled Apple Watch 3 led to the turnaround, such that one in every five smartwatch shipped in 2017 was an Apple Watch. The chart attached below better demonstrates Apple’s powerful position in the smartwatch market. It says that more than 17.7 million units of Apple Watch were sold in 2017 and it amounts to 53 percent of market share. If you combine all other competitors in the wearable market, you’ll find that Apple has all of them beat for the top spot. It can also help you give you an insight on Android Wear, which appears to be nothing but dead. User tastes have become more sophisticated over the past several quarters and Apple pounced on the demand for cellular connectivity and streaming multimedia. [Now,] what will bear close observation is how Apple will iterate upon these and how the competition chooses to keep pace. Taking a look at trailing tech giants, Apple is followed by popular fitness band maker Fitbit with 5.4 million shipments in Q4 2017. Their decline is possibly because of the company’s attempt at trying to break into the smartwatch market with the launch of the Ionic, which was birthed after its acquisition of Pebble. Xiaomi is the next in line and has been releasing new smartwatches under is Huami brand, which also went public just last month. Apple’s noteworthy lead over all its competitors shows that the company still has the ability to bring innovation and new products to the market. It has broken through its safe iPhone, MacBook and iPad ecosystem and analysts are now looking at what Cupertino has in store for the Apple Watch to stay relevant in the market. What features would you like to see in the next Apple Watch? Tell us in the comments below.